Residents of Magic Breeze are free to grow what they like - Herbs? Vegetables? Fruits? Flowers? 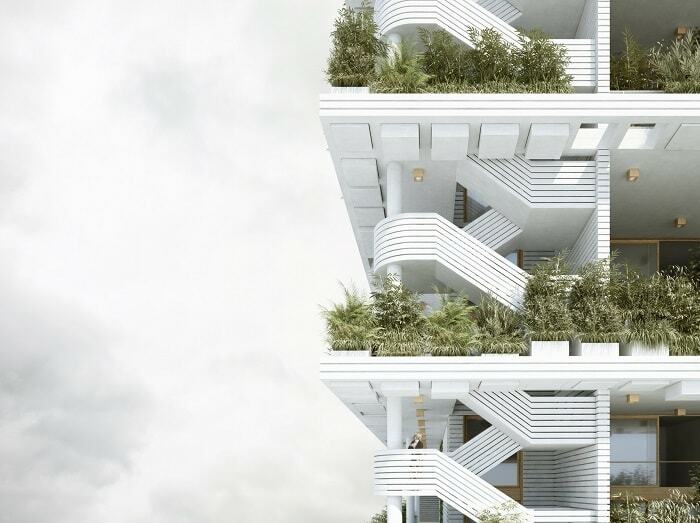 Architecture and design firm Penda introduced its idea for a residential compound with private gardens in the city of Hyderabad, India. 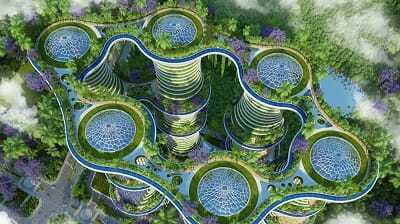 Commissioned to prepare a proposal called Magic Breeze, the designers chose the green way for the huge complex with a total area of about 450.000 square feet. 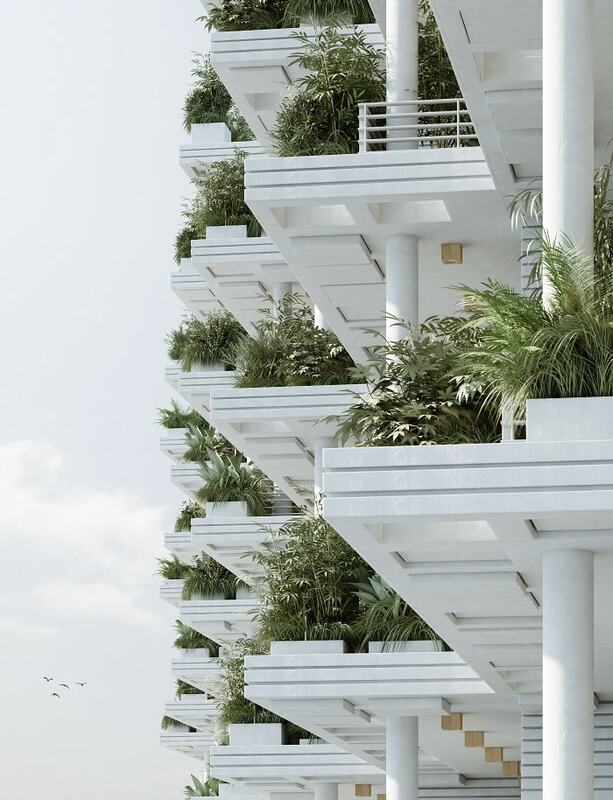 Each of the 127 units, designed as duplex villas, is between 2.600 and 4.000 square feet in size. 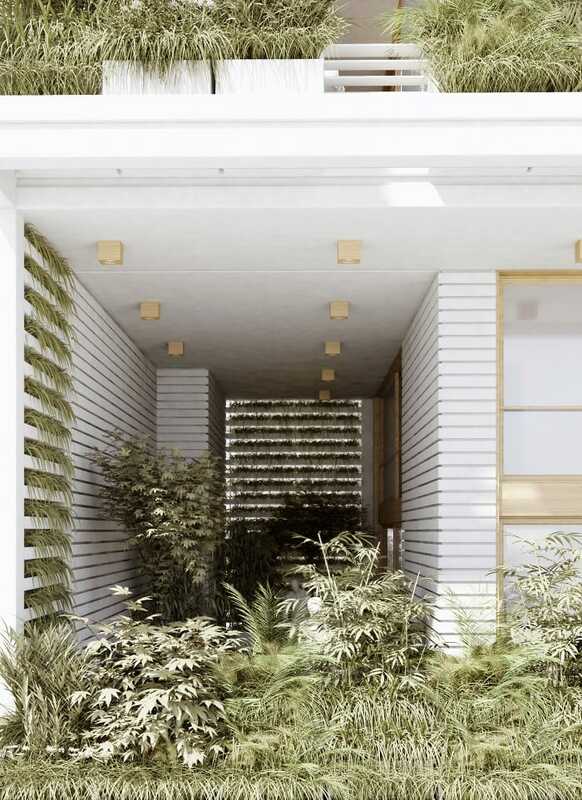 Every unit of Magic Breeze provides a private garden of 500 square feet acting as a divider between them. In order to improve quality of life and well-being, these organic divisions also work as a natural ventilation throughout the complex. According to the architects, it is a healthy alternative to usual mechanical cooling. It is possible to save more than 60 percent of cooling energy plus harmful carbon dioxide. Residents are free to grow what they like. Herbs? Vegetables? Fruits? Flowers? 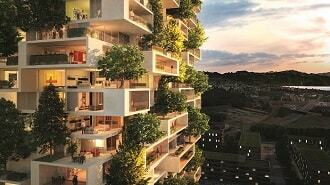 It sounds like private urban farming. 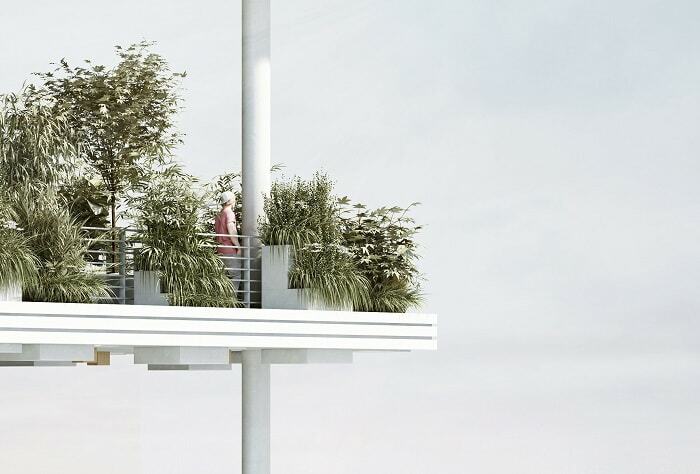 According to Penda, a modular planter system for Magic Breeze has been developed. It is possible to mount it as an extension for the balconies of every unit. The flooring of the balconies is not made of stone, wood, ceramic tile, marble or the like. It is designed as a grass surface. 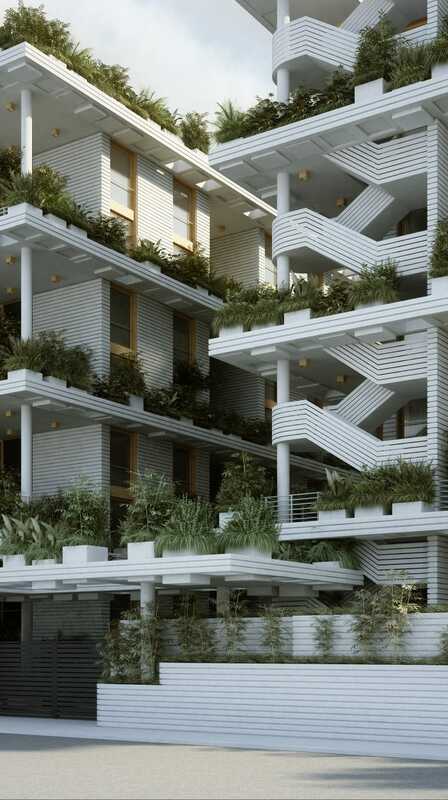 The architects followed the rules of Vaastu when they created the compound. This important traditional Hindu architectural system is an integral element of a successful real estate development in India. It characterizes orientation, layout or floor plan arrangements. Magic Breeze is surrounded by a natural lake in the Southeast. It is used as a natural irrigation system for the private gardens and the landscape. 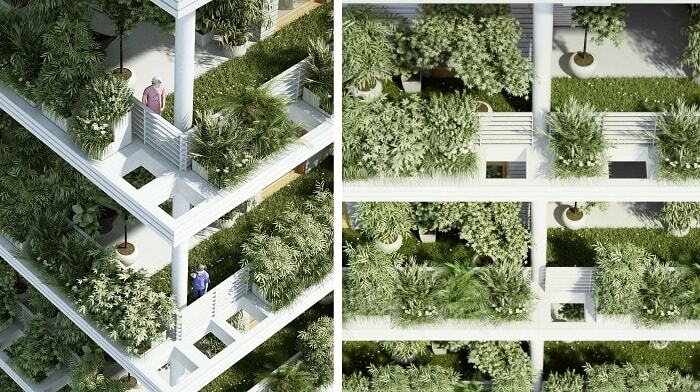 The idea of integrating plants in multistory buildings is not an absolute innovation. Feel free to check similar projects like Hyperions in New Delhi, Drivhus in Stockholm or the Cedar Trees Tower in Switzerland.